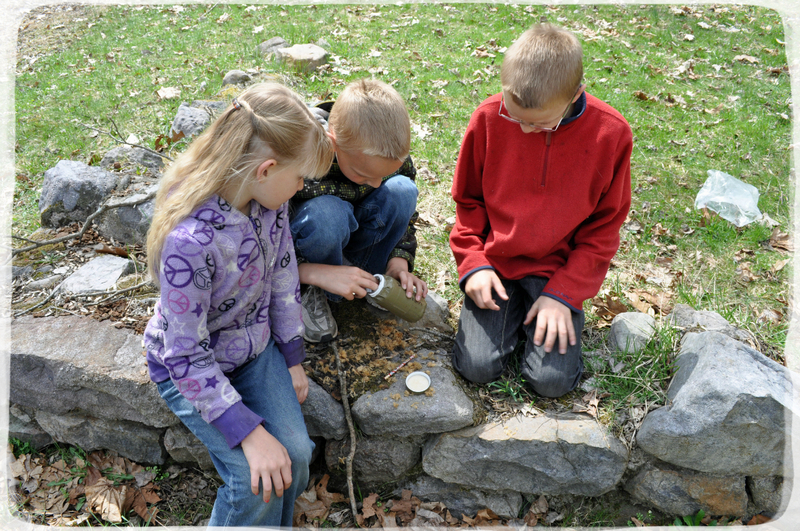 We have always enjoyed geocaching, so we decided to spend the afternoon treasure hunting. Finding the first one was an adventure in itself because both of the boys had a GPS and they were leading us all over the place. It took them a little while to figure out which way to go, but before too long they led us to our first location near the old schoolhouse. The kids dug through the tube and found treasures to trade with things they had brought from home. As we were approaching our second location, we saw what looked like a small school group. As we got closer, though, we saw that it was a couple of families out enjoying the day together. They were geocaching as well and it just so happened that we were all looking for the same treasure. They had been looking for a little while and were not having any luck finding it. William ended up spotting it in a hole in a tree. So again, all the kids traded treasures and we were once again on our way. We are right in the middle of a state park and there are hundreds of geocaches here, but we only found the two today. Over the course of our stay we should be able to find many more. 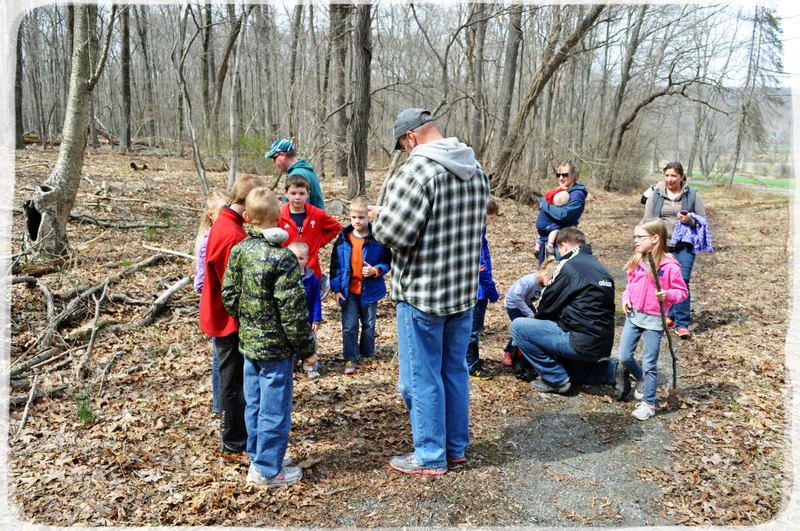 We like to go for walks and geocaches are a good way to add a little extra fun along the way. This entry was posted in Pennsylvania, RV Life, Travel and tagged Geocaching, Hopewell Furnace, Pennsylvania. Bookmark the permalink. Glad you were able to get back to your geocaching. Looks like several families were having fun right along with you. Looks like you had a nice day for it too. Love you!!!! It was cloudy today but the sun came out to play every now and then. No rain, though, so we weren’t complaining! My son introduced us to geocaching last year. Very addictive. Looks like you had a great time. Isn’t it fun? There are so many now that no matter where you are you can go treasure hunting! 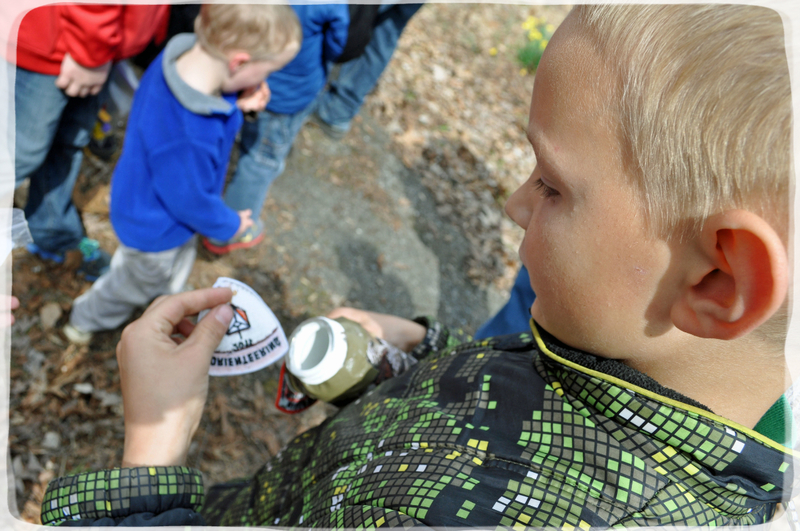 Anyone can place a geocache. Usually they are a tube of some sort full of little trinkets and when you find one you can take something and leave something, so the treasure is always changing. You just load the GPS coordinates onto the website so people can go find it. They are everywhere! And super fun to find.